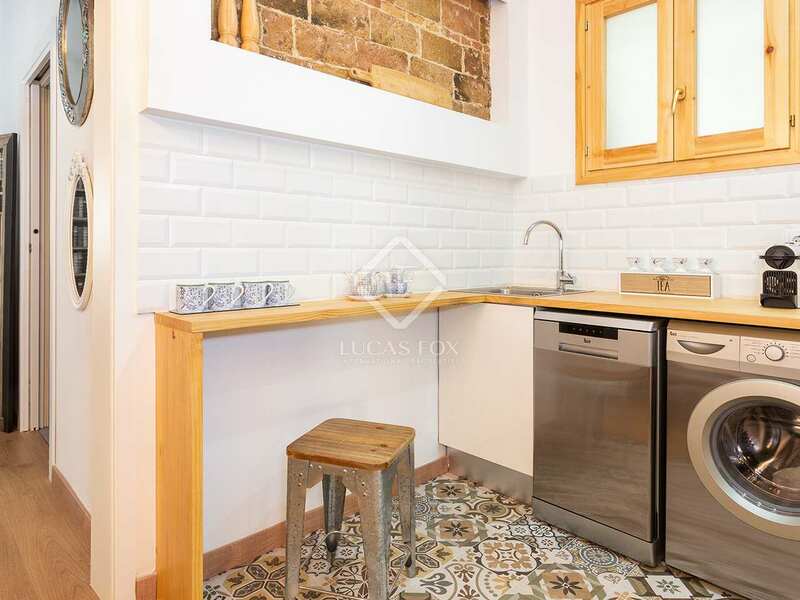 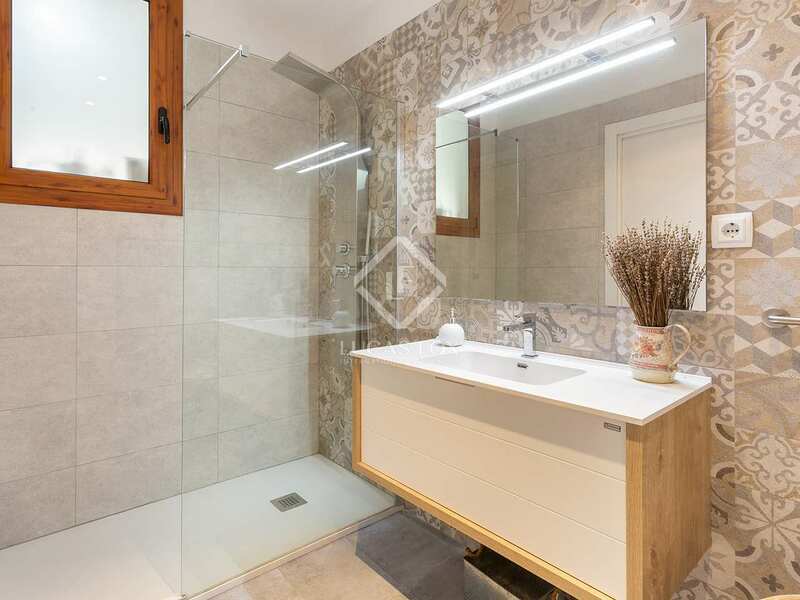 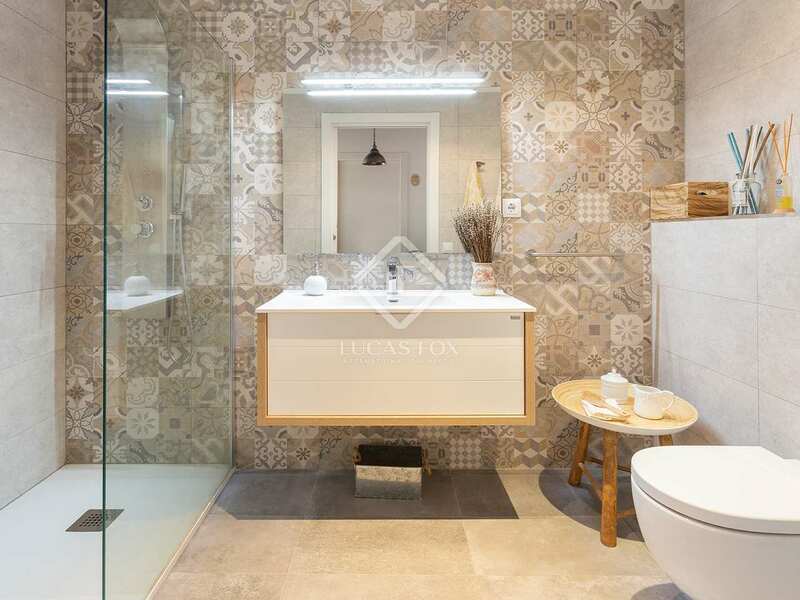 Renovated apartment for sale in a very central location, next to Sant Antoni Market and Rambla del Raval. 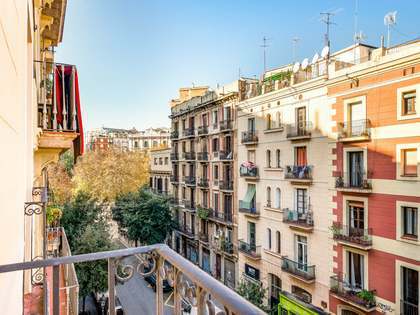 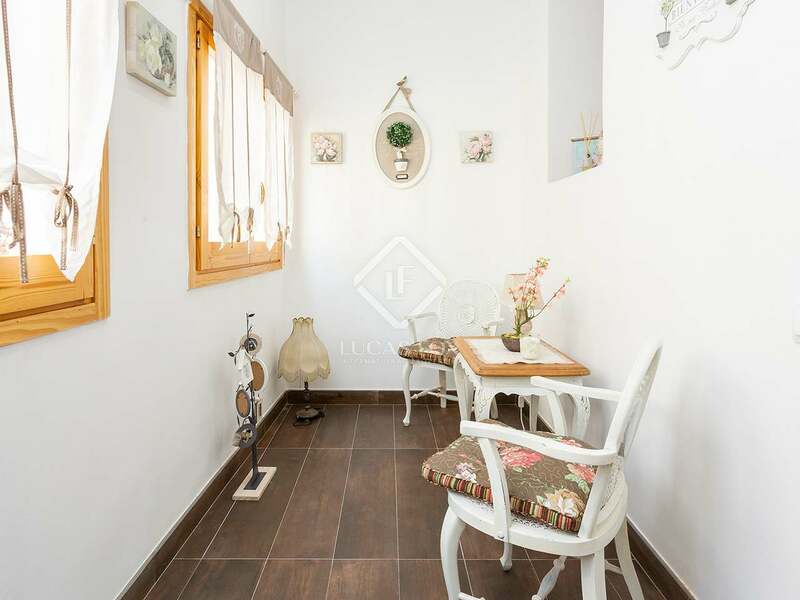 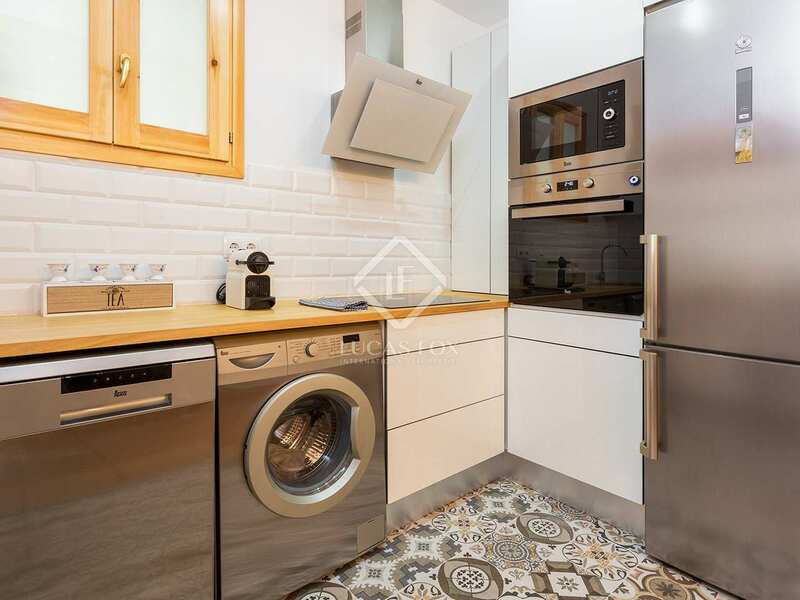 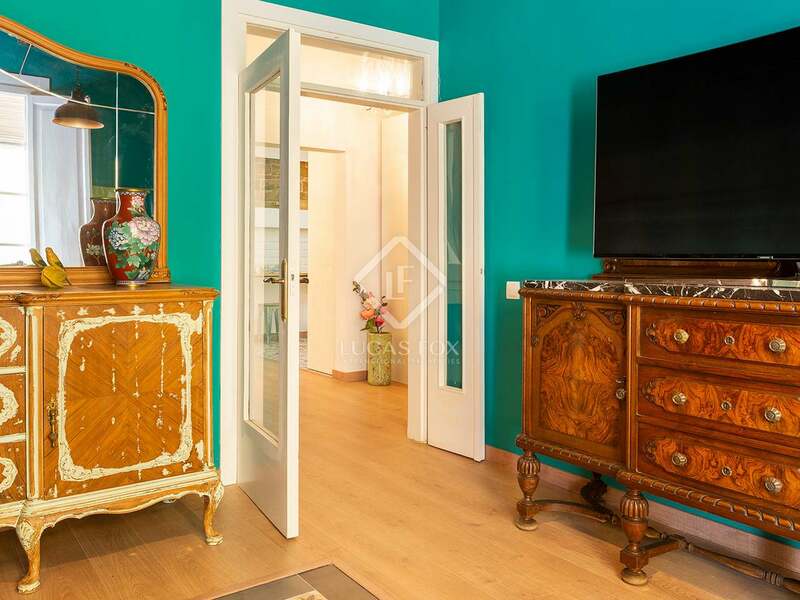 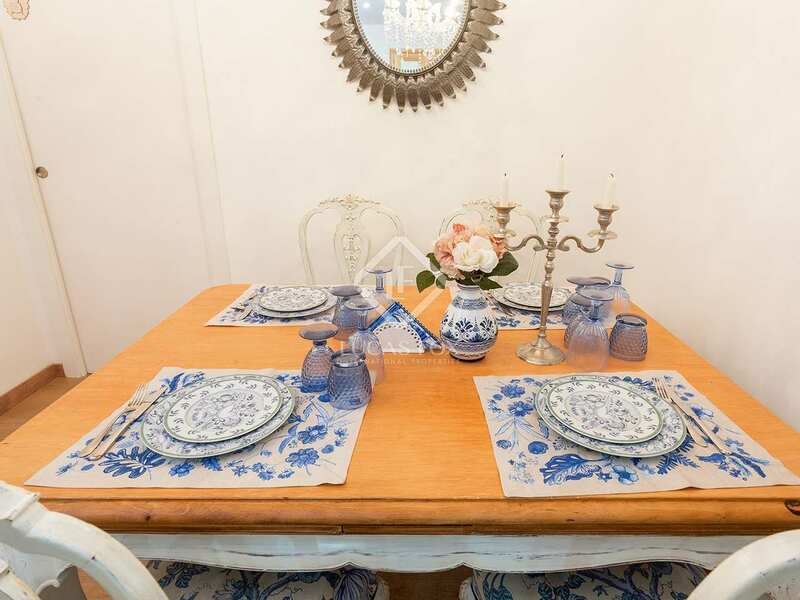 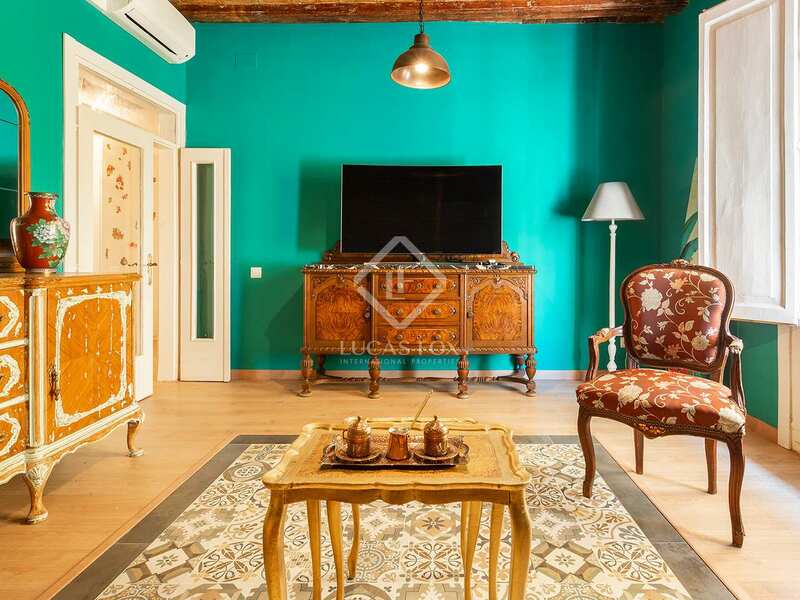 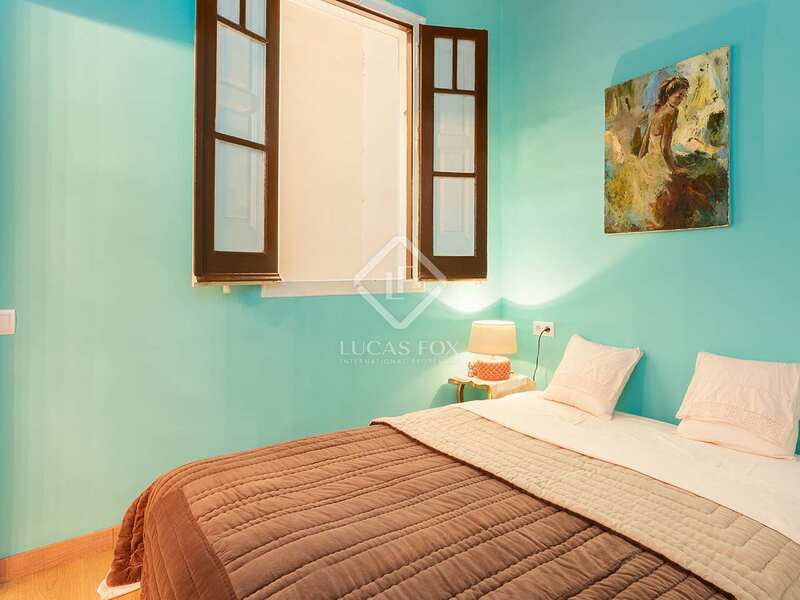 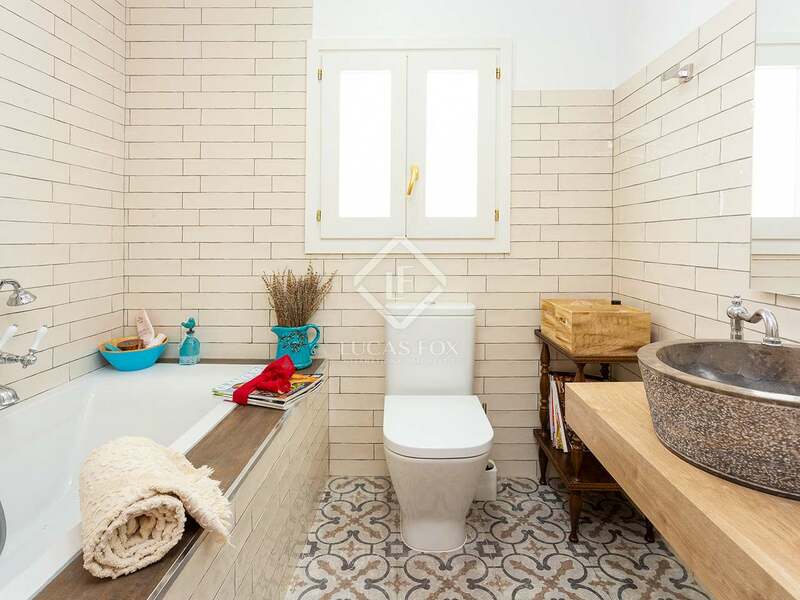 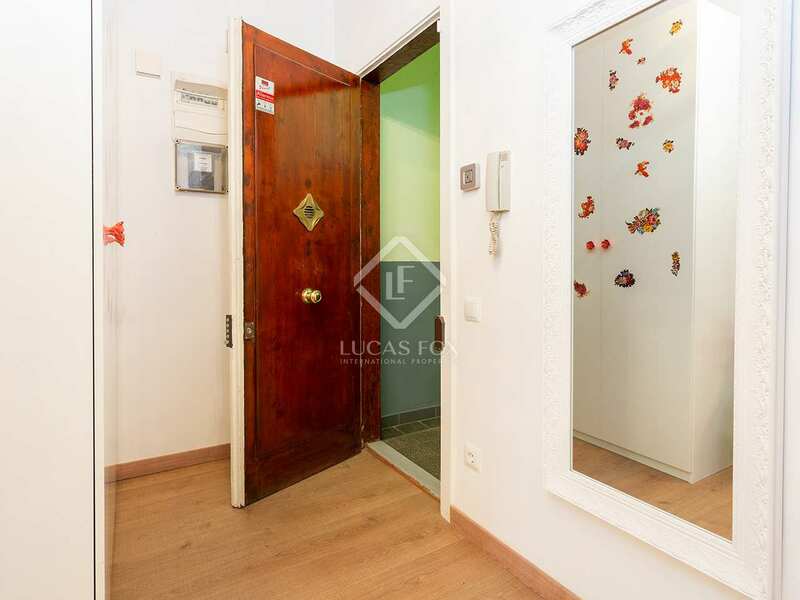 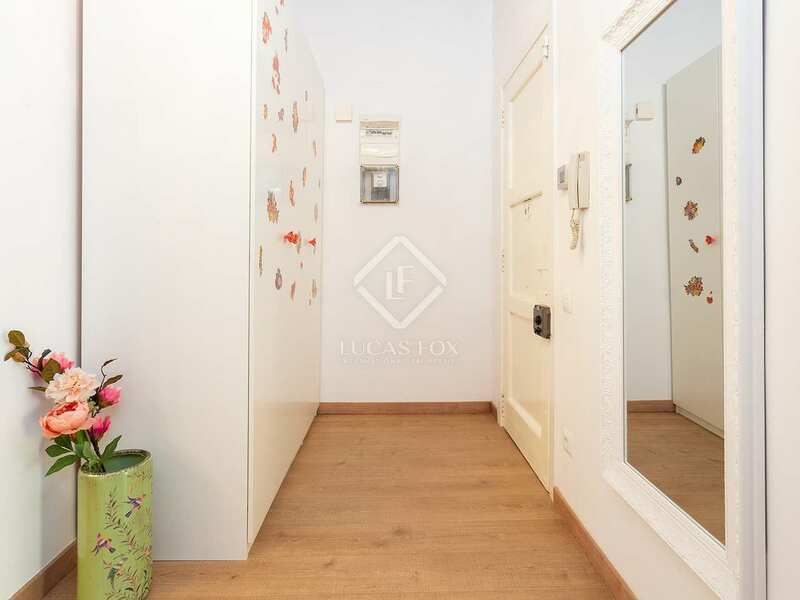 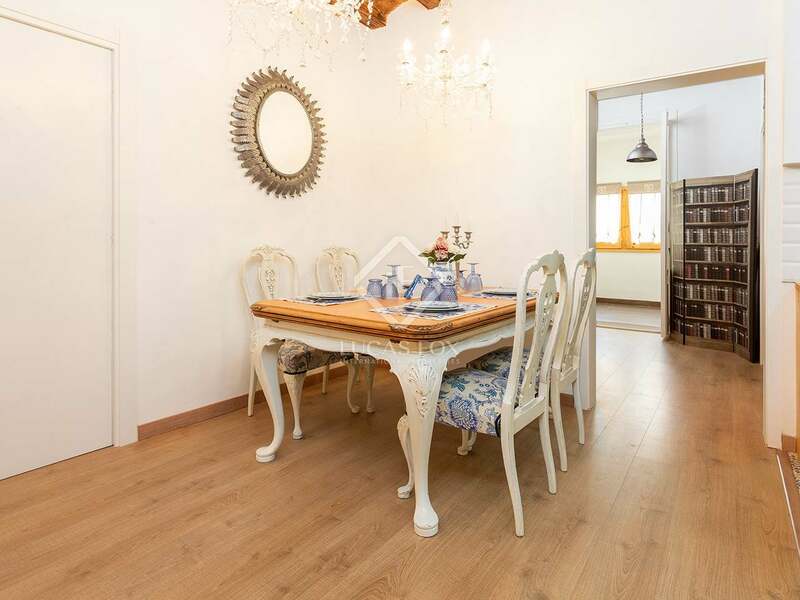 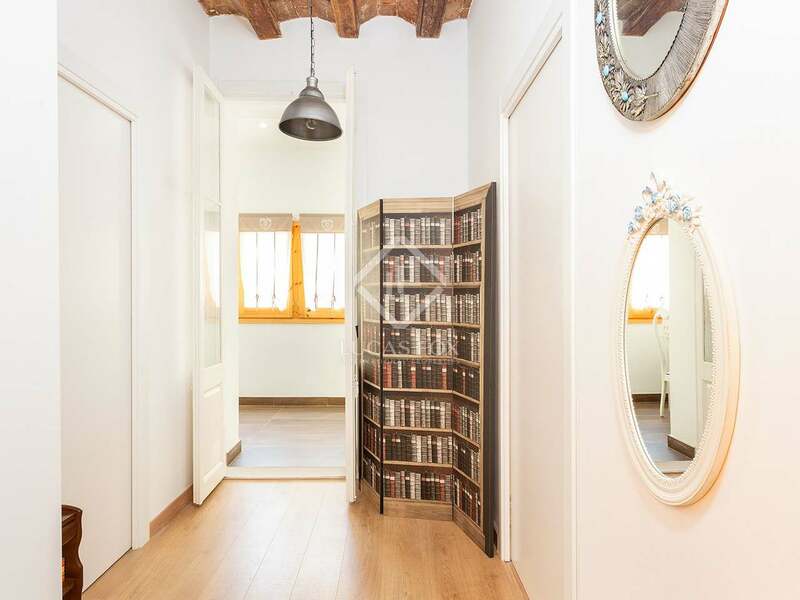 Second floor apartment in a building in good condition without a lift which is located on a peaceful street in Barcelona's charming old town, next to Sant Antoni market. 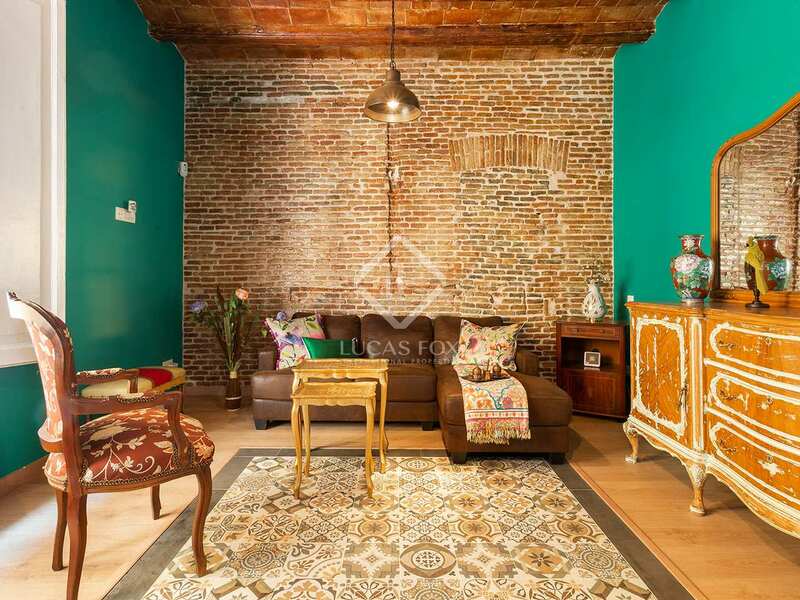 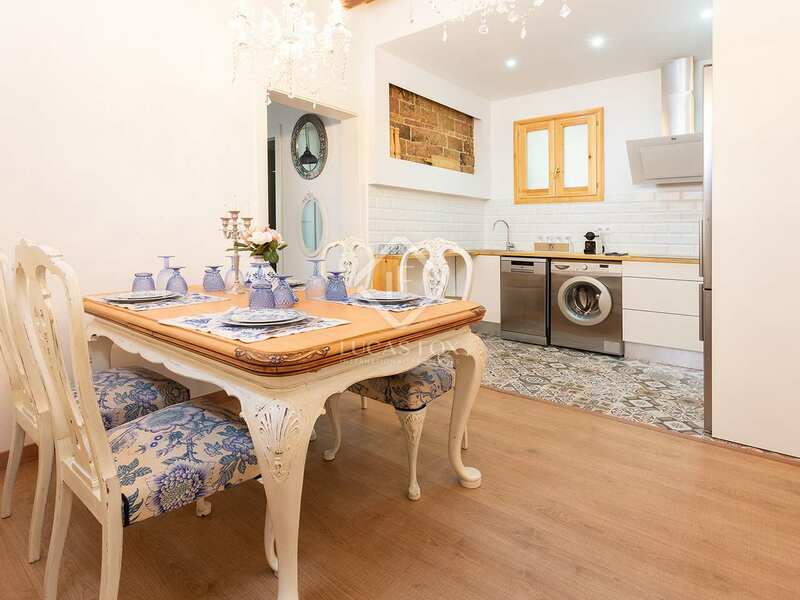 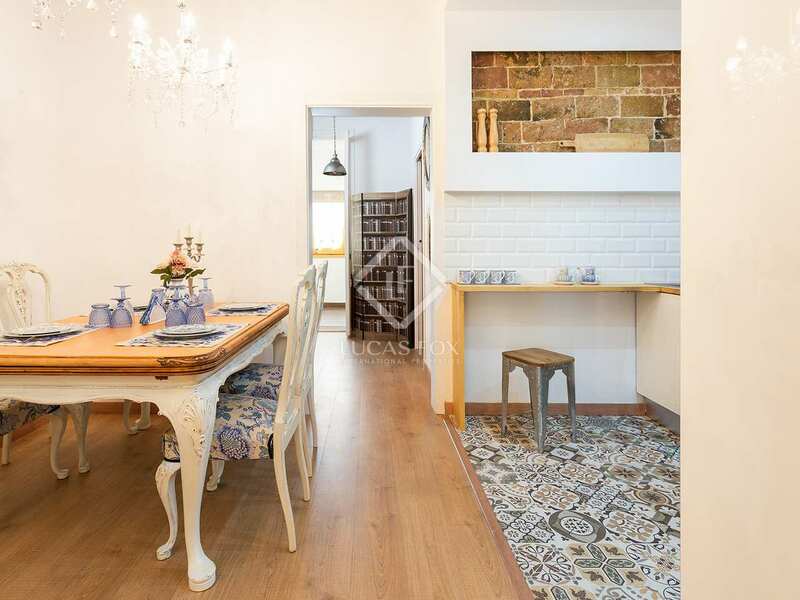 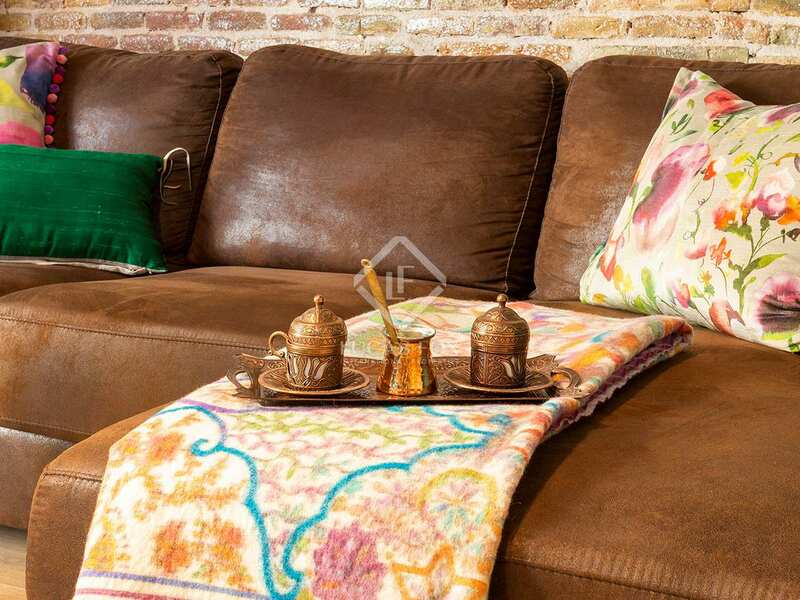 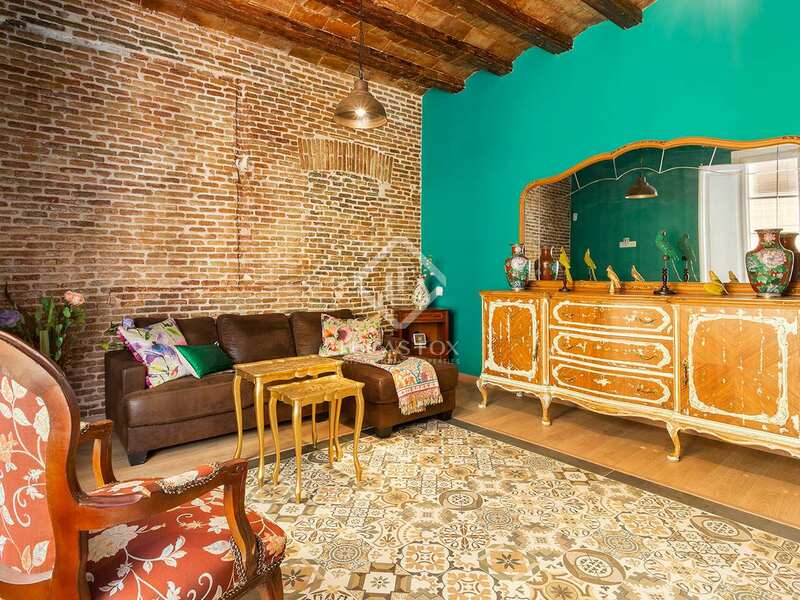 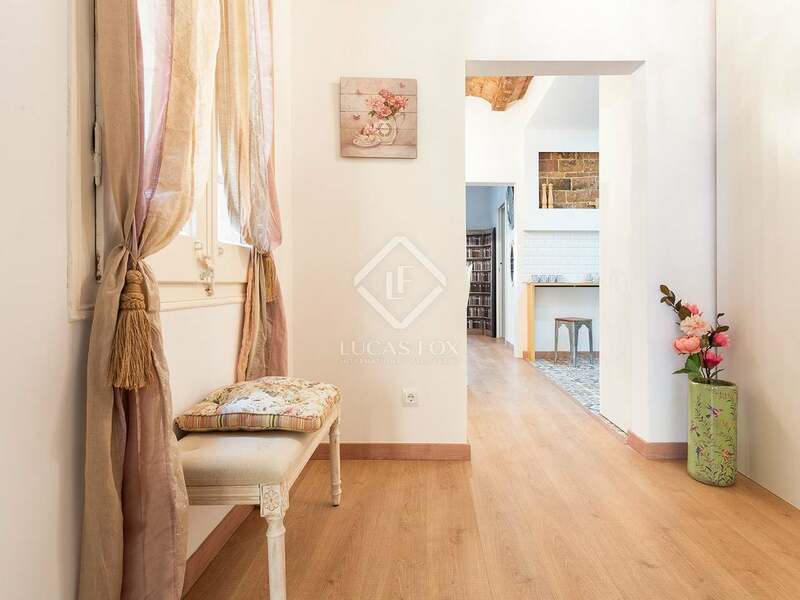 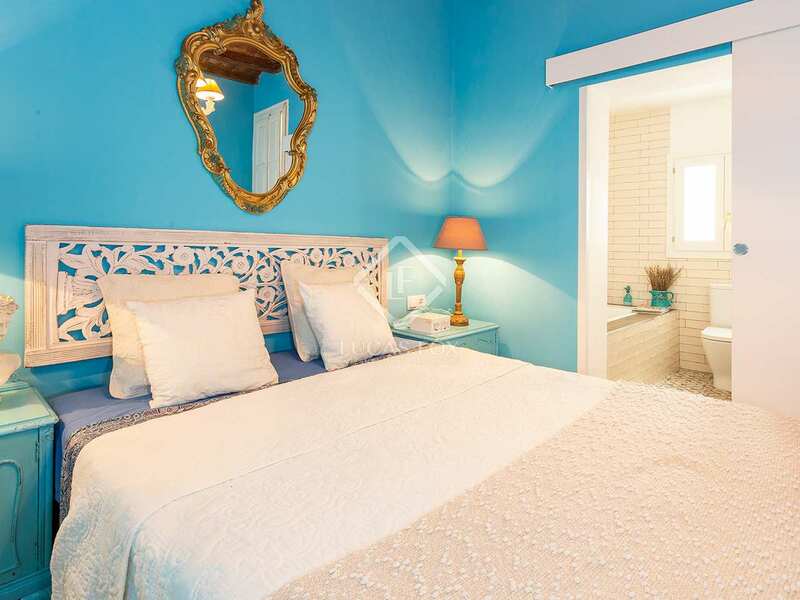 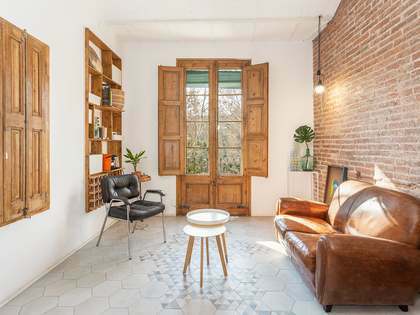 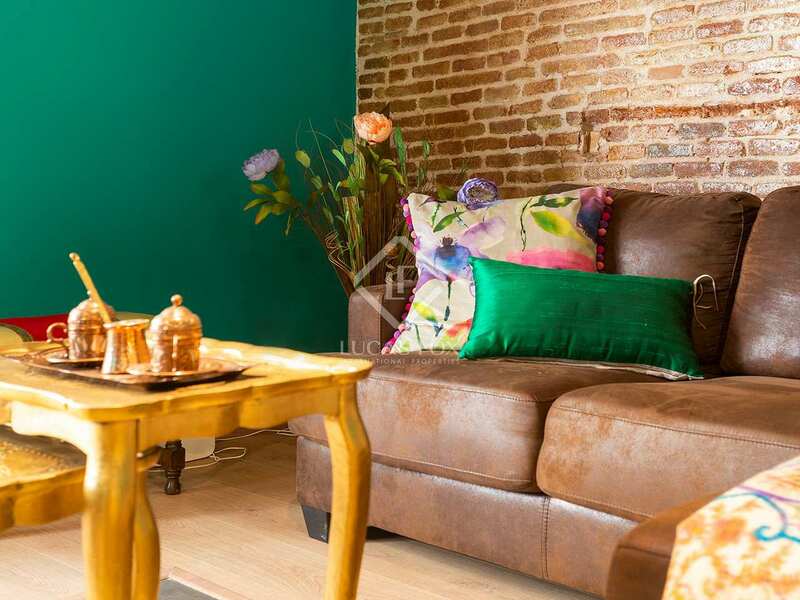 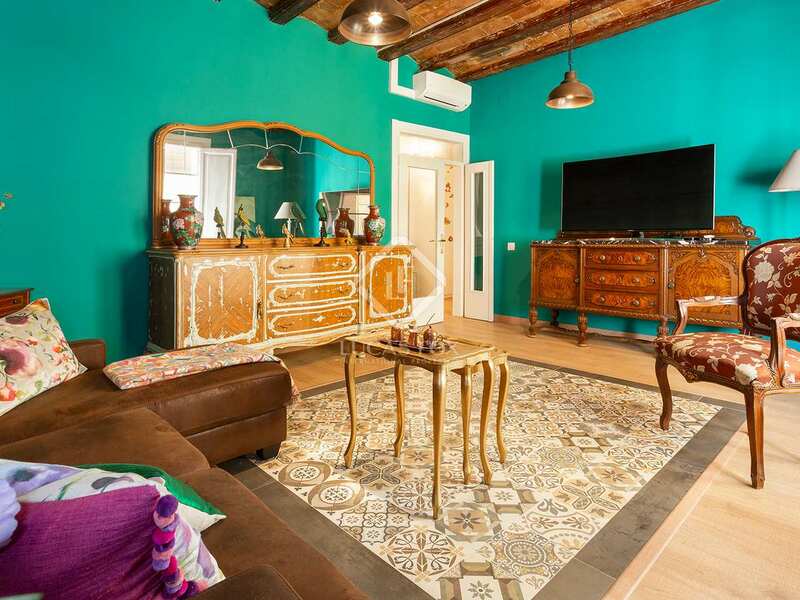 Original features, typical of the start of the century, including Catalan vaulted ceilings with exposed wooden beams and brickwork have been maintained during the renovation to create a modern home with plenty of character. 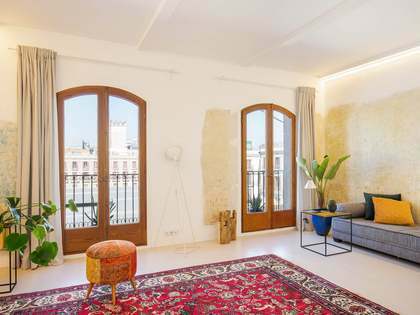 The property is registered in the 'Nota Simple' as measuring 114m² and the certificate of occupancy registers a 77 usable square metres. 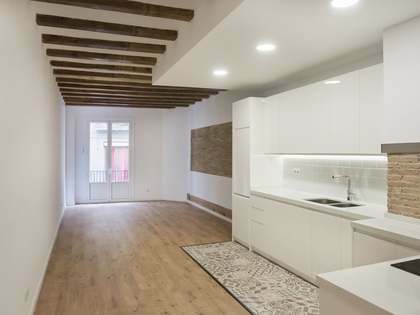 The apartment offers a practical and intuitive layout in line with modern homes. 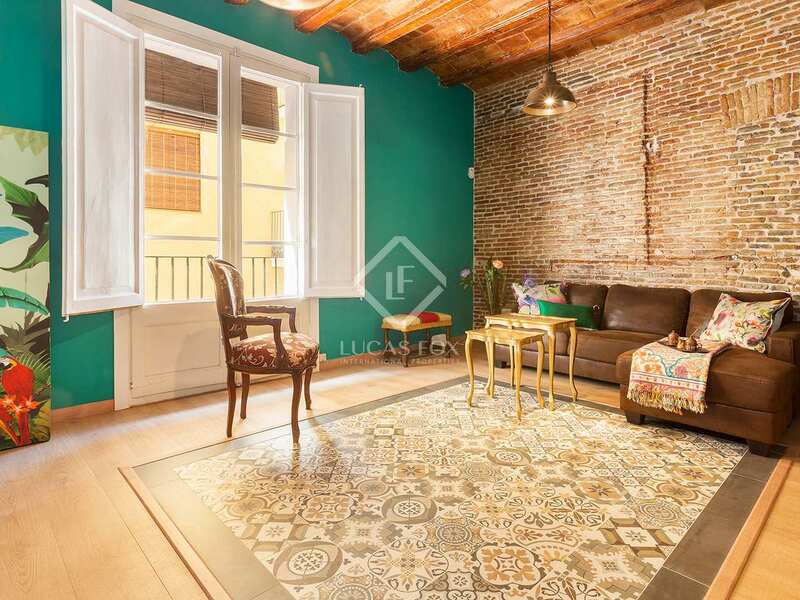 From the living area there are pleasant views over the street below and the open kitchen has a dining area. 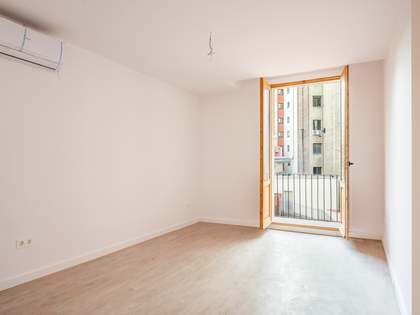 This apartment has 2 bedrooms and 2 bathrooms. 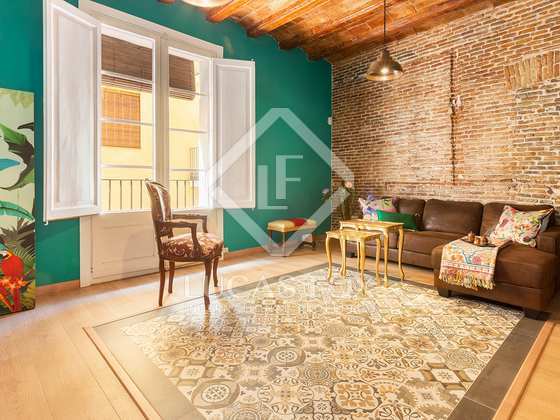 An excellent opportunity in a very central location. 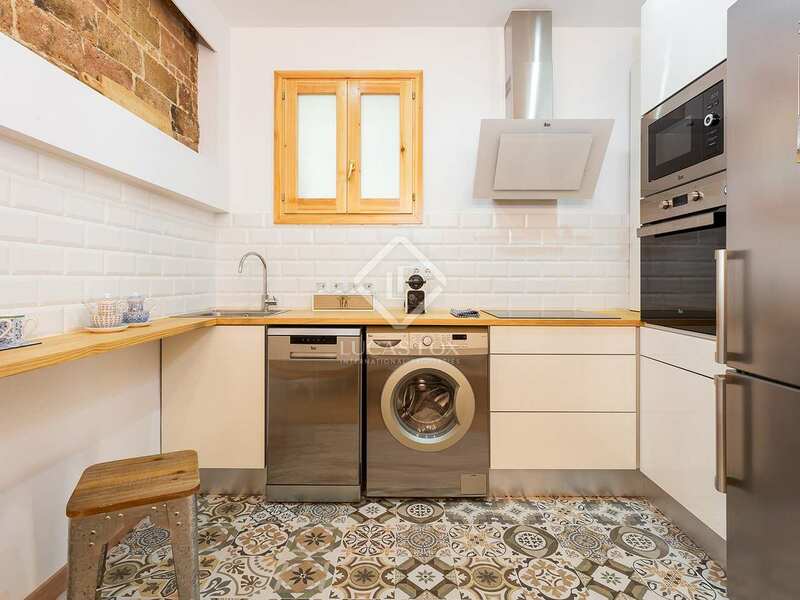 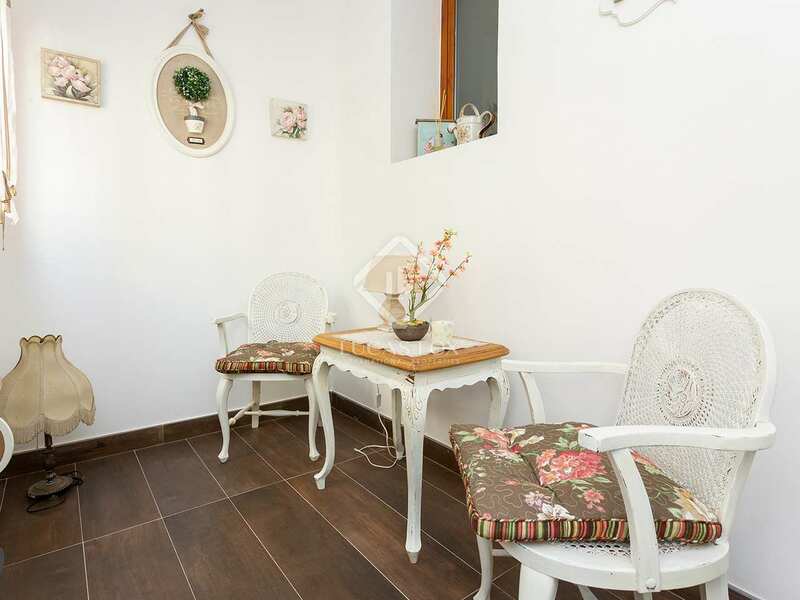 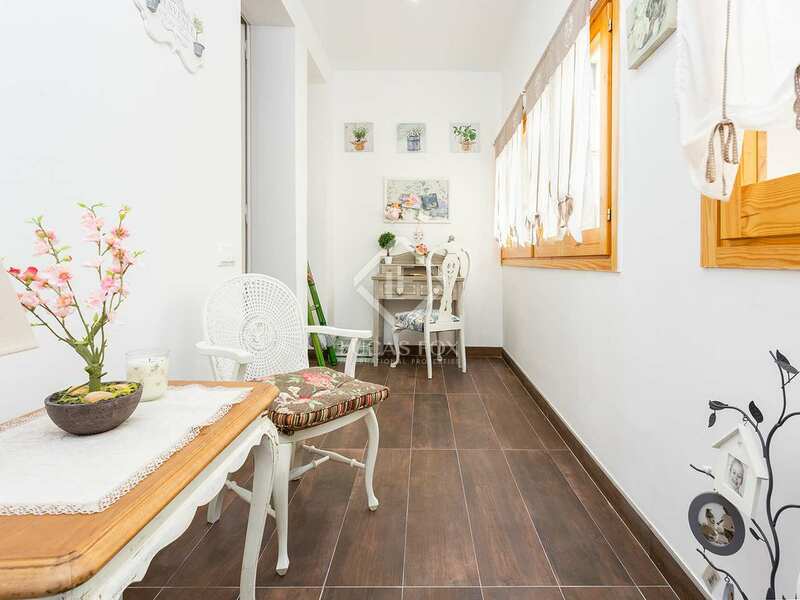 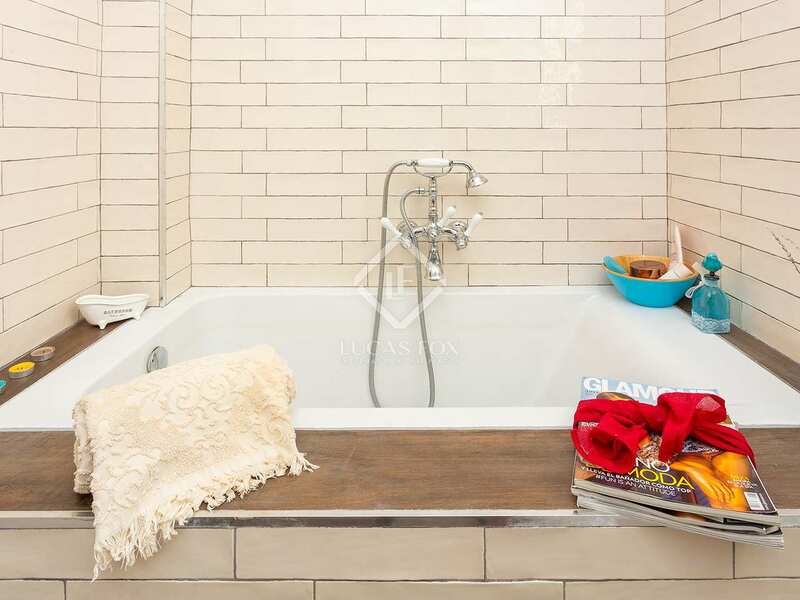 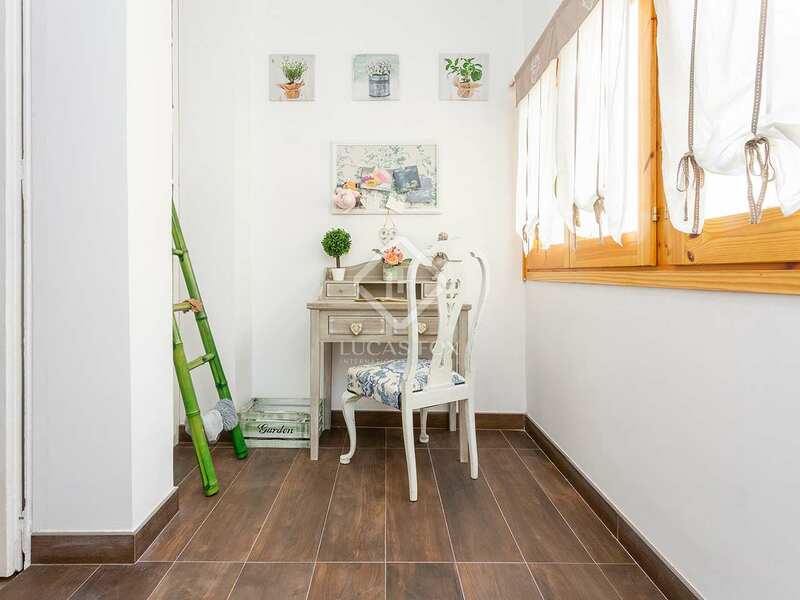 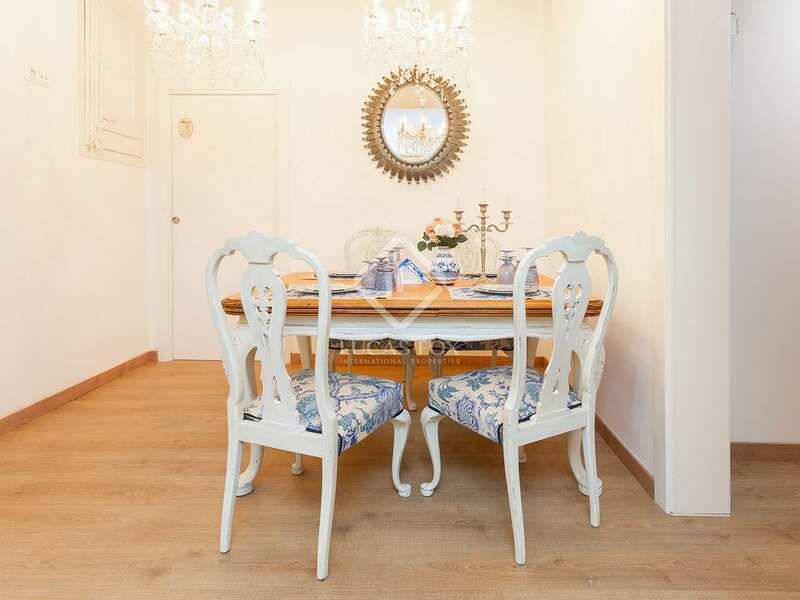 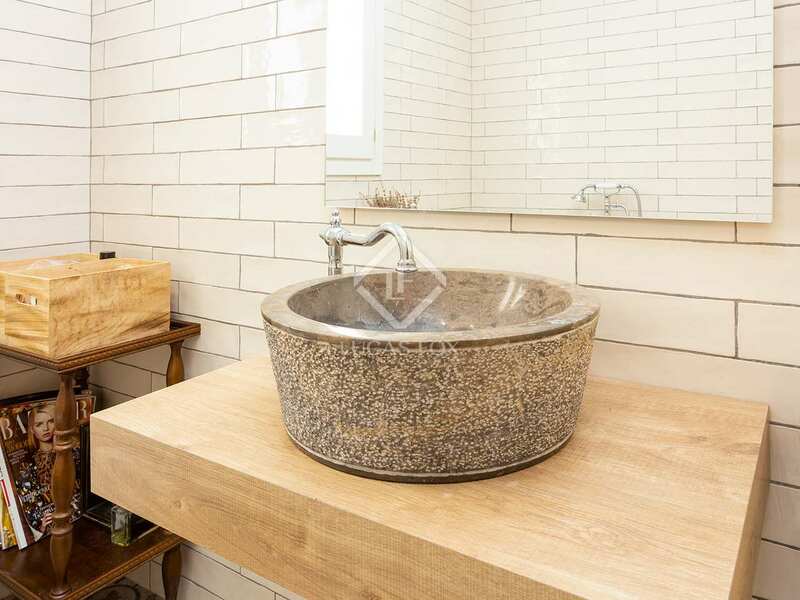 Apartment for sale in a very central location, next to Rambla del Raval, 7 minutes walking from Sant Antoni Market in an area with an abundance of shops and services and with excellent public transport links. 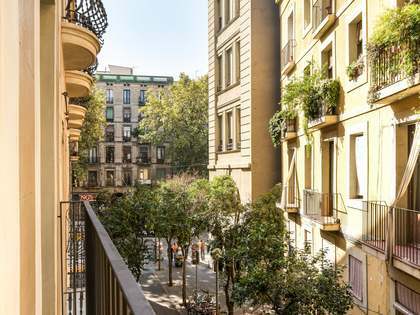 The street is very peaceful and the building is in good condition.